We spent a couple of days this week with Liam and Jack (two of our grandsons) golfing and visiting a few interesting spots down near Tillsonburg, Ontario. The highlight was a personal tour of the Alpacas B&B in Springford. 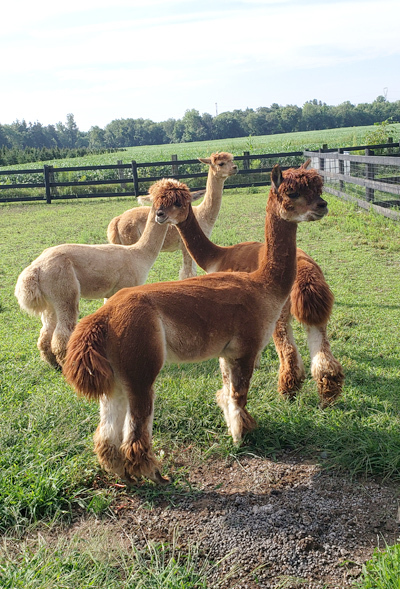 Many thanks to Roelf and Francien owners of the Alpacas B&B for taking the time to show us their beautiful little group of award winning alpacas. Here’s a little video of Jack talking with the alpacas. It gives you an idea how pleasant and non-threatening these animals tend to be. We also visited the HMCS Ojibwa at Port Burwell. The Ojibwa is a retired Canadian Navy submarine that was decommissioned in 2012 and put on display on the beach in Port Burwell. It is open to the public for detailed, supervised educational tours that take you systematically through the entire sub. The hour long tour through the sub makes you aware of how complex a ship like this is, and gives you an idea of the difficult, cramped and dangerous living conditions the crew of 70 had to endure when on patrol.